The silliest question being asked about the revelation that Gov. Schwarzenegger had a child out of wedlock? That question is: why didn't anyone know about this? The answer is obvious. Neither of the parties who knew -- Schwarzenegger or his housekeeper, the child's mother -- wanted it known. Both were married at the time, according to news reports. 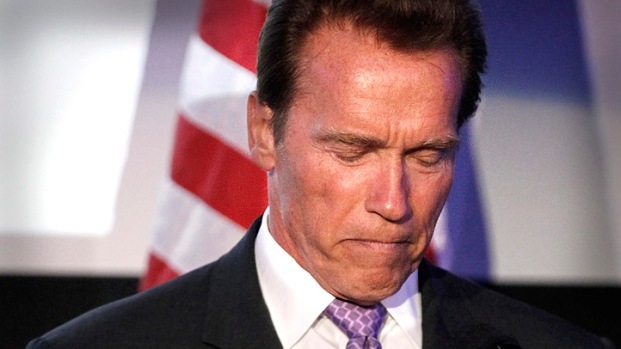 So they kept it quiet, until news of Schwarzenegger's separation from his wife brought it out. My reaction: Thank goodness, for the state, that he and the housekeeper managed to keep this secret for the seven years of his governorship. Imagine how completely disruptive the breaking of this news would have been if Schwarzenegger had been trying to govern the state at the time this broke. It might have paralyzed the state in the same way that revelations of gubernatorial misdeeds in South Carolina, New York and New Jersey have in recent years. And California has more than enough governmental paralysis already, thank you. A photo of the woman believed to be the nanny who gave birth to Arnold Schwarzenegger's baby has been released. Patrick Healy Reports.